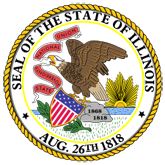 This publication consists of agreements between the State of Illinois acting through the Illinois Department of Children and Family Services and each of the following: Donald Peterson Foundation Passages Alternative Living Program-Parent Ed. Workshops Family Focus Prairie Center Health Systems I Am Able Family Sinai Parenting Community Institute Jamal's Place West Englewood/Clara's House. 1. Prairie Center Health Systems (prairie.pdf). 2. Passages Alternative Living Program-Parent Ed. Workshops (passages.pdf). 3. I Am Able Family (able.pdf). 4. West Englewood/Clara's House (englewood.pdf). 5. Sinai Parenting Community Institute (sinai.pdf). 6. Donald Peterson Foundation (peterson.pdf).